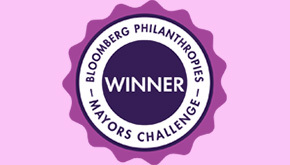 Providence is one of 20 finalists in the Bloomberg Philanthropies Mayors Challenge. Mayor Taveras has submitted a plan to increase school readiness and literacy for the city’s youngest children. See the video below outlining the Mayor’s plan and head to the Huffington Post to vote. Voting ends tomorrow.